Understanding and accepting failure now will give you the clarity and the resolve you need to survive the big bumps. No matter who you are, how solid your connections, your financial status, or any of the thousand other factors that determine success of a business, understand one thing: At some point, you’re going to fail. And not just once. Internalise that reality and make it part of your entrepreneurial and leadership DNA. The only question you need to answer is: When I fail, how will I respond? Asking this second question is all about preparedness. We have repeatedly said in the book Riding The Roller Coaster – Lessons from financial market cycles we repeatedly forget: “If you cannot predict, protect”. And protection must start with preparedness. What’s worked for me over the years is to recalibrate and consider my worst-case scenarios, gauge my ability to cope, and work on viable solutions without panicking. Once you can do that, you’re already on the road to recovery. This is also important to be a good investor. And in order to recalibrate and consider your worst-case scenarios, it is important to read the history and see the follies of others in the past. You do not need to walk the whole path all over again. 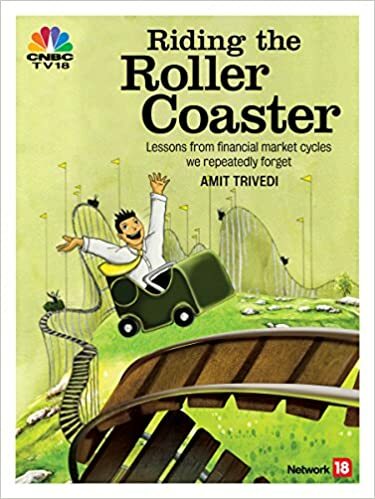 You can start with reading Riding The Roller Coaster – Lessons from financial market cycles we repeatedly forget. The book highlights many episodes that happened in the world of financial markets and how people responded to the situations. Learn from the events and learn from the way people responded. You would be able to build a solid investment strategy for yourself. If you are an investment advisor, it would help you build investment advice for your clients. You may also consider gifting the book to your clients as reading the same would help them appreciate your perspective. ← How is the market?